We all love Sale, don’t we? And most of us will only shop during the sale or promo period. Sometimes we spotted some items that we want but will not but it right away because we are waiting for right moment when the sale and promo start; we will buy it at a better deal. Hmm… well might overlook and miss the sale due to our hectic schedule. 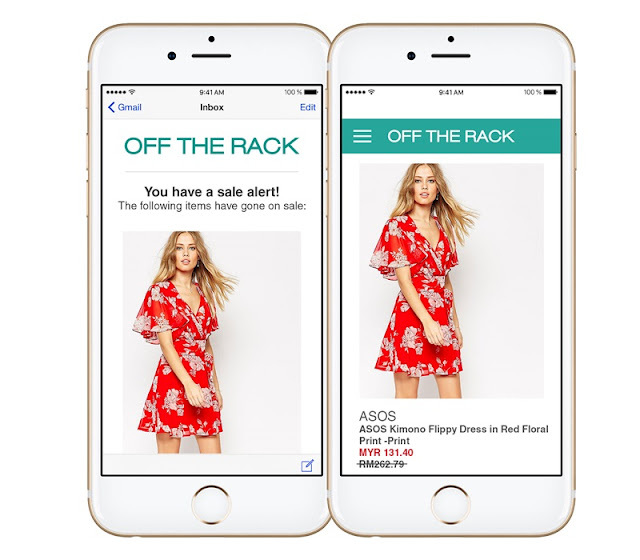 Recently, Off The Rack launched the price drop notifications with Sale Alerts. It’s a website feature that monitors any item in your free alerts list and sends an email notification to us when the price drops. So now you will Never Miss A Sale! 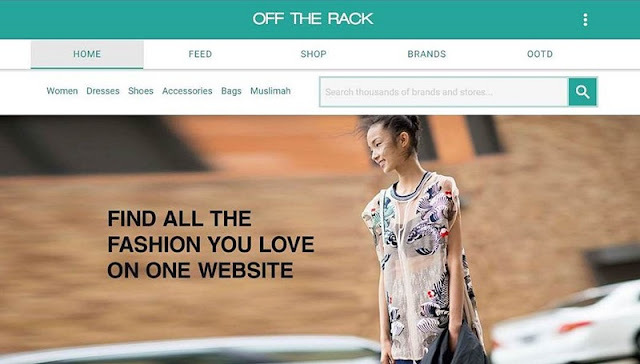 At Off The Rack site you can find your favourite fashion online shop in one place, discover the latest fashion trends and get free alerts when you favourite items go on sale. There are more than 100,000 products and over 2,000 brands from from online stores in Malaysia, Singapore and UK such as ZALORA, ASOS, Whitesoot, Marc Jacobs, POPLOOK and more. There is bound to be something for everyone. Plus their search filters will make it easy for us to find what we are looking for. Alternatively, you can search by categories men's apparel, kid's apparel, women's dresses, tops, shoes, skirts, bags, jewellery, bags, home decor, furniture and more. 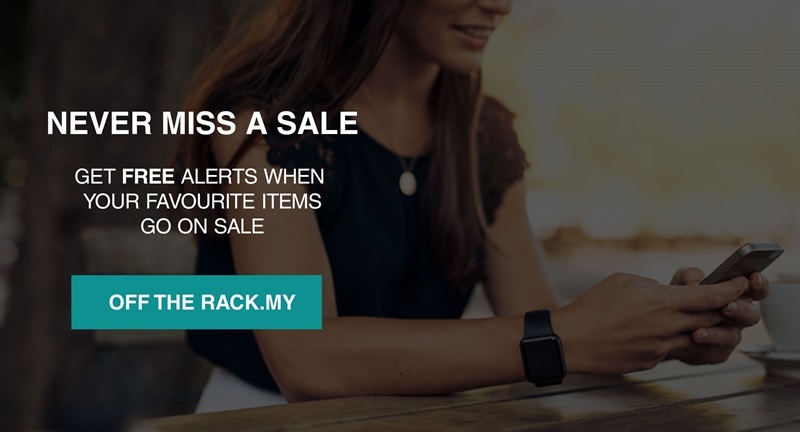 This is a handy feature, easy-to-use and helps Off The Rack users to monitor sale prices on products they covet. When you save an item on the Sale Alerts list (by selecting "Get Sale Alert" below the product), you will receive an email notification when the price drops. You can then buy direct from the online shop at the preferred price. totally suits the shopaholic side of me :D gonna check it out soon! I love apps that notify you of good things to come, like a sale. We have that for a North America airline and it is great. They ding you when the price drops and that has the potential to be a huge savings. very nice app. especially for shopaholic like myself who is also busy to check out when is the sales! I need to download this app already!! thanks for sharing Kelly!